While we enjoy raw salads today, it was a particular rarity in the Edwardian era. Of the 2,973 recipes in French Chef Escoffier book used chefs employed by the Britain’s aristocracy, he listed only one simple salad recipe. 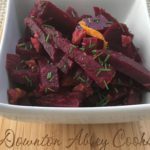 Julienne the beets into ¼” thick strips, place in a bowl and set aside. Toast the walnuts in a 325 F oven and reserve. Blend together the remaining ingredients for the dressing and pour over the beets. Let the flavors settle for a few hours before serving, either cold or at room temperature. While we often refer to "roasting" technically we no longer use open fireplaces to cook our food. Baking your beets is the best way to way tobring out the beet's sweet flavour. This method also saves your hands and kitchen counters from the stains of beet juice. Baked beets are often served alongside meats so you can make at the same time in the oven. Cut off greens which can be used in other recipes. Scrub the beets thoroughly, then wrap individually in aluminum foil. 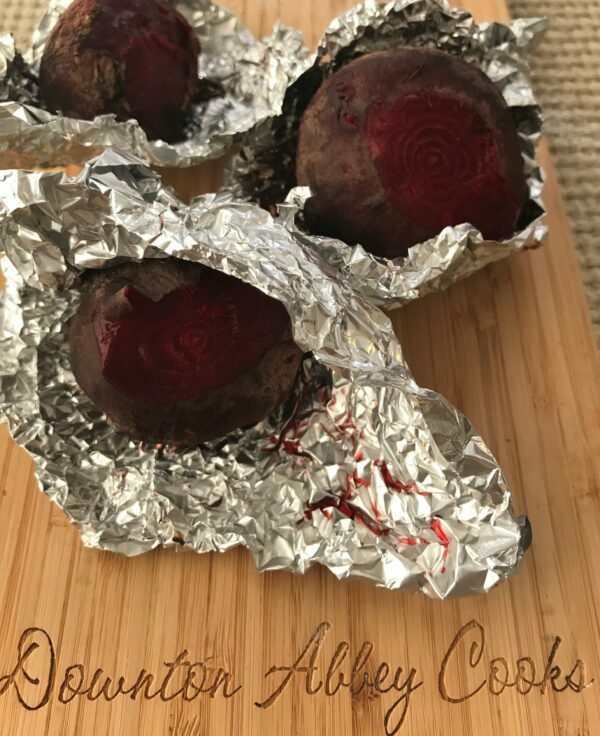 Place the beets on a baking sheet to catch any drips. Bake for 50 to 60 minutes. Beets are done when a fork or skewer slides easily to the center of the beet. 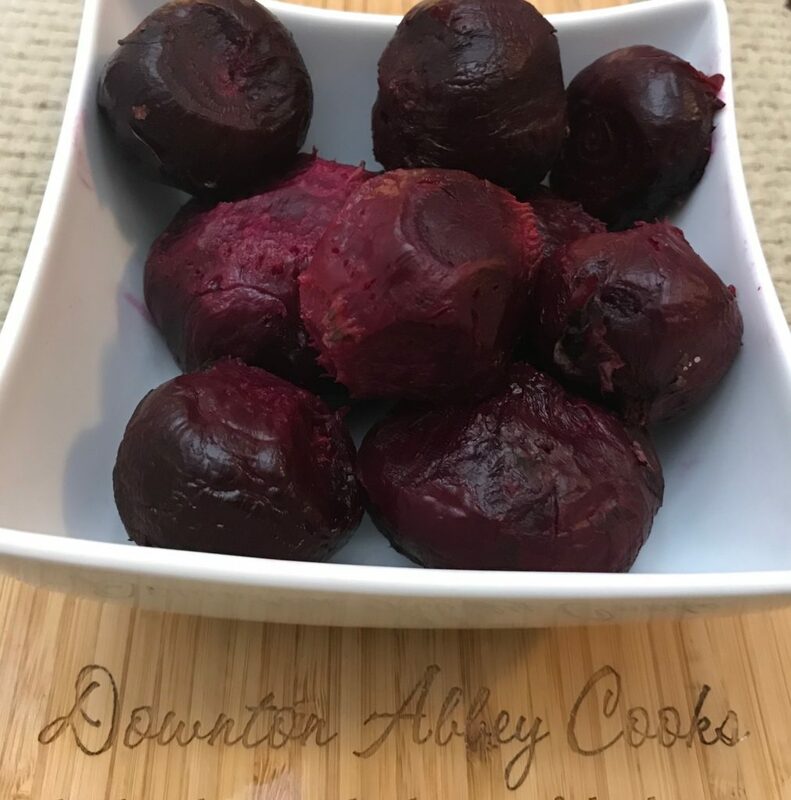 Small beets will cook more quickly than larger beets so if all your beets are uniform they will all be done at the same time. Set the beets aside until cool enough to handle. You can now easily remove the skin and protect your hands by holding each beet in a paper towel and rub the skin away. If it doesn't come off easily you likey need to bake the beets a bit longer.